Russia knows who is really behind the attack on the UN humanitarian convoy near Aleppo, Russian President Vladimir Putin said on Wednesday. It is one of the terrorist groups, he added. "We see what's happening. It's just baseless accusations that Russia is the cause of all mortal sins. 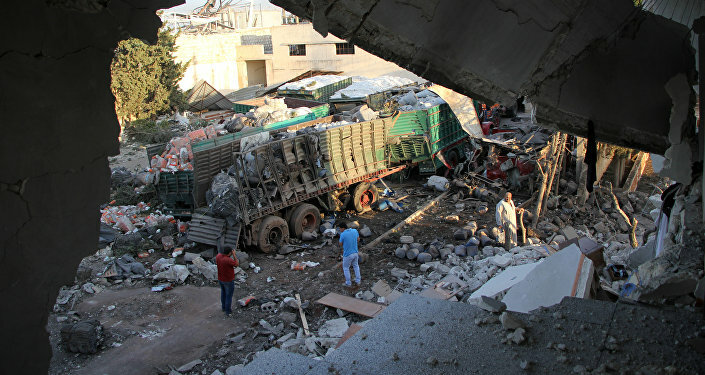 But we know who attacked this humanitarian convoy. This was one of the terrorist groups. And we know that the US is well aware of this. But they prefer to blame Russia. 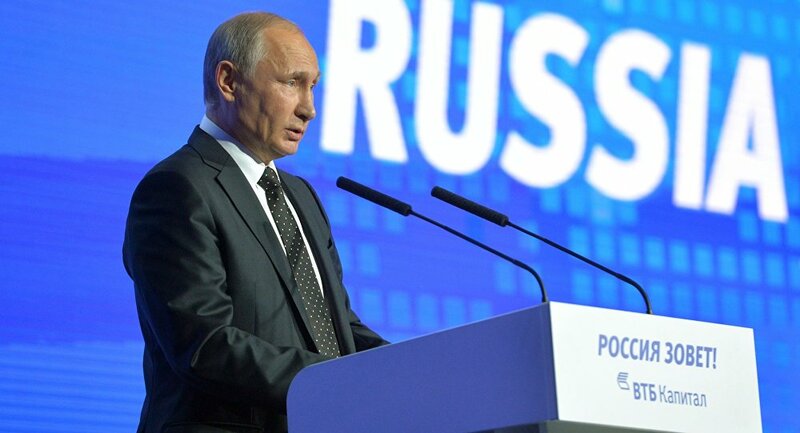 This won't help," Putin said at the VTB forum "Russia is calling". Several Western officials, including the ones from the White House, have blamed the attack on Russia and Syria. The Russian authorities have refuted the allegations and claimed there was no airstrike, while the load of the convoy could be set on fire most probably by Nusra Front militants controlling the area. Moscow called for a thorough investigation into the incident. Intimidation against Russia has never worked and will never work, Russian President Vladimir Putin said commenting on pressure exerted on Moscow in relation to settlement of the Syrian crisis. “This is what I was speaking about recently, this method of doing things on the international arena which is called intimidation and pressure. This has never worked and will never work against Russia,” the president said.